Argonne engineer Ted Bohn holds a mock-up of the plug-in hybrid electric vehicle (PHEV) connection standard called J-1772. This connector will facilitate both charging and communication. Argonne transportation researchers created this interactive model to demonstrate how the smart grid interacts with different types of customers. As the smart grid moves from concept to reality, Argonne National Laboratory is helping to ensure this technology will interact seamlessly with the emergence of plug-in hybrid electric vehicles (PHEVs). The smart grid involves updating the existing power grid to employ real-time, two-way communication technologies that allow consumers to connect directly with power suppliers. This will give consumers the ability to choose where their electricity comes from and when they want it delivered. The smart grid is a key element of President Obama’s plan to lower energy costs for consumers, achieve energy independence and reduce greenhouse gases. And with the president Obama's goal to have one million PHEVs on the road by 2015, a smarter grid also becomes increasingly important for managing the added electricity demand created by these next-generation vehicles. An important component of integrating PHEVs into the grid will be the vehicle’s plug. Ted Bohn, a principal engineer at Argonne, sits on an international committee working to develop the Society of Automotive Engineers’ (SAE) new connection standard called J-1772. The group is defining this standard, so manufacturers can build compatible connectors and vehicle sockets that will support both charging and two-way communication. To illustrate how this process works, Bohn and his colleagues at Argonne created an interactive smart grid model for demonstration purposes. In May, Bohn presented Argonne’s smart grid model to international audiences at the EVS 24 Conference in Stavanger, Norway and Test Site Sweden’s Tech Transfer Conference in Gothenburg, Sweden. The model shows how different types of consumers could interact with the smart grid. For example, a frugal customer may wait until off-peak hours to charge a PHEV because it is cheaper, while an environmentally-conscious customer may pay more to get their electricity from wind power instead of coal. In addition to helping people save money and help the environment, the smart grid is also a big help to electricity providers. By giving utilities real-time information about where power is needed and what energy sources are available, they can route power more efficiently without overloading the grid. Solar array and charging station. As part of Argonne’s continuing efforts to reduce its carbon footprint, several electric vehicle (EV) charging stations will be installed around the laboratory campus as part of Argonne’s EV Charging Pilot Program. In addition to displacing petroleum through the use of EVs and plug-in hybrids, the program includes the installation of a solar power array and wind turbine to provide clean, renewable electricity for charging. Solar energy will come from 3.8 kW Sunpower panels with a DC/AC inverter and a tracking array mount that allows the mounted panels to tilt toward the sun, guaranteeing an optimal angle for power generation. The solar array features a monitor to track how much electricity is being generated by sunlight. A 60-foot free standing Skystream 3.7 wind turbine will supply wind power. The deployment of charging stations will begin with 20 parking spots strategically located around the lab's 1,500-acre campus. The eventual goal is to have enough charging stations to accommodate 5 percent of Argonne employees, which equates to 160 parking spaces. The installation of the charging stations, solar array and wind turbine will be completed sometime in 2011. As a member of the Grid Interaction Tech Team, Ted Bohn, principal electrical engineer in Argonne’s Transportation Technology Research & Development Center (TTRDC), is excited about the prospect of having a small-scale, functioning EV charging infrastructure on site. Not only will the program offer a means for recharging both employee-owned and laboratory fleet EVs and plug-in hybrids, it will also give transportation researchers a real-world test bed to gather data and validate smart charging technologies. “There is good synergy between Argonne’s EV Charging Pilot Program and our ongoing smart-charging and smart grid technology development projects,” said Bohn. The SAE J-1772 plug-in vehicle connector facilitates both charging and communication. Argonne researchers are helping create codes and standards that will enable widespread adoption of electric-drive transportation with smart grid interoperability. 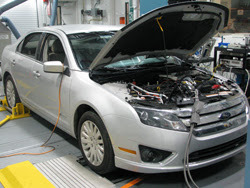 For example, the Society of Automotive Engineers' (SAE) J1772 connection standard will enable manufacturers to build compatible connector plugs and vehicle sockets that support both charging and two-way communication with utility companies. Another standard, SAE J2847, will specify the communications systems between electric vehicles and utility companies. Engineers are also actively pursuing the development of standards related to plug-in vehicles and methods to test them. Smart grid metrology systems are end-use measurement devices (EUMD) that measure and communicate energy usage information to ensure accurate consumption readings and fair billing. Argonne researchers have made a major breakthrough with the development of a compact metrology system that is a fraction of the size and cost of existing systems. The groundbreaking technology is garnering international attention due its low price of less than $30 per unit and its compact size (smaller than a business card). This technology would also be an alternative to installing a secondary charging meter specifically for charging an electric vehicle. This wireless technology, which allows one radio to use different frequencies depending on needs at the time, will provide more bandwidth for electric utilities to communicate with consumer vehicles. Argonne researchers have developed a software-defined radio technology in a low-cost field programmable gate array (FPGA) device that would enable electric vehicle-to-grid interoperability for a wide variety of infrastructure resources. This promising technology offers a less expensive and more efficient option for smart grid communications. The X-47B, unmanned carrier drone, took its first recorded flight in September (video below) and the Navy just announced it's adding refueling capabilities to the aircraft by 2014. David Ax, at Wired, reports the move will allow the X-47B to remain in flight well beyond 3,000 nautical miles — 10 times the ability of a traditional manned fighter. This will also put U.S. aircraft carriers outside the reach of, say, China's 'carrier-killing' ballistic missiles and submarines. Getting rid of the fighter pilot is a huge boost to efficiency and the Navy will begin carrier trials on the USS George Washington in 2013. The X-47, which the Navy wants by 2018, has been in development for nearly a decade by Northrop Grumman, builder of the Air Force’s long-range Global Hawk spy drone. After a series of test flights from land bases — including its first wheels-up cruise, depicted above — in 2013 the X-47B will head out to the aircraft carrier USS George Washington for additional trials, launching and landing from the carrier’s crowded, 1,100-foot flight deck. The aerial refueling tests will follow the carrier trials. The X-47B will be fitted with both Navy-style refueling gear — a probe the refueling plane uses to “plug” into a basket suspended from the tanker — and the receptacle refueling equipment favored by the Air Force, which requires that the tanker plug its own probe into the receiving plane. Dual systems will allow the X-47B to sip gas from the Navy’s carrier-based F/A-18 tankers or the Air Force’s much larger KC-135s and KC-10s. Boeing had gone toe-to-toe with Northrop over a government contract to build killer drones, and the second time it had lost. UAVs perform a wide variety of functions. The majority of these functions are some form of remote sensing; this is central to the reconnaissance role most UAVs fulfill. Less common UAV functions include interaction and transport. UAV remote sensing functions include electromagnetic spectrum sensors, gamma ray sensors, biological sensors, and chemical sensors. A UAV's electromagnetic sensors typically include visual spectrum, infrared, or near infrared cameras as well as radar systems. Other electromagnetic wave detectors such as microwave and ultraviolet spectrum sensors may also be used, but are uncommon. Biological sensors are sensors capable of detecting the airborne presence of various microorganisms and other biological factors. Chemical sensors use laser spectroscopy to analyze the concentrations of each element in the air. Aerial surveillance of large areas is made possible with low cost UAV systems. Surveillance applications include: livestock monitoring, wildfire mapping, pipeline security, home security, road patrol and anti-piracy. The trend for use of UAV technology in commercial aerial surveillance is expanding rapidly. UAVs can be used to perform geophysical surveys, in particular geomagnetic surveys where the processed measurements of the differential Earth's magnetic field strength are used to calculate the nature of the underlying magnetic rock structure. A knowledge of the underlying rock structure helps trained geophysicists to predict the location of mineral deposits. The production side of oil and gas exploration and production entails the monitoring of the integrity of oil and gas pipelines and related installations. For above-ground pipelines, this monitoring activity could be performed using digital cameras mounted on one, or more, UAVs. The InView Unmanned Aircraft System is an example of a UAV developed for use in oil, gas and mineral exploration and production activities. Video shows accuracy in accomplishing GIS supported target with expert and well trained professionals. UAVs can transport goods using various means based on the configuration of the UAV itself. Most payloads are stored in an internal payload bay somewhere in the airframe. For many helicopter configurations, external payloads can be tethered to the bottom of the airframe. With fixed wing UAVs, payloads can also be attached to the airframe, but aerodynamics of the aircraft with the payload must be assessed. For such situations, payloads are often enclosed in aerodynamic pods for transport. Unmanned aircraft are uniquely capable of penetrating areas which may be too dangerous for piloted craft. The National Oceanic and Atmospheric Administration (NOAA) began utilizing the Aerosonde unmanned aircraft system in 2006 as a hurricane hunter. AAI Corporation subsidiary Aerosonde Pty Ltd. of Victoria (Australia), designs and manufactures the 35-pound system, which can fly into a hurricane and communicate near-real-time data directly to the National Hurricane Center in Florida. Beyond the standard barometric pressure and temperature data typically culled from manned hurricane hunters, the Aerosonde system provides measurements far closer to the water’s surface than previously captured. designed specifically for scientific research in severe climates such as the Antarctic. UAvs, UUV are potentially useful for GIS supported town research or city wide surveillance for crime watch at night navigation, much like a watch dog capable of aerial or undersea camera sniping. UAV undersea exploration, agricultural, aquatic science applications could be explored as it UAV sensors and camera become cheaper and commercially accessible. Autonomie, to accelerate the development and introduction of advanced technologies through plug-and-play architecture. Autonomie is a Plug-and-Play Powertrain and Vehicle Model Architecture and Development Environment to support the rapid evaluation of new powertrain/propulsion technologies for improving fuel economy through virtual design and analysis in a math-based simulation environment. Autonomie is an open architecture to support the rapid integration and analysis of powertrain/propulsion systems and technologies for rapid technology sorting and evaluation of fuel economy improvement under dynamic/transient testing conditions. The capability to sort technologies rapidly in a virtual design environment results in faster improvements in real-world fuel consumption by reducing the time necessary to develop and bring new technologies onto our roads. Autonomie has been designed to be used as a single tool throughout the different phases of model-based design of the Vehicle Development Process (VDP). Model Based Design is a math-based visual method for designing complex control systems and is being used successfully in many motion control, industrial, aerospace, and automotive applications. It provides an efficient methodology that includes four key elements in the development process: modeling a plant (from first principles or system identification), synthesizing and analyzing a controller for the plant, simulating the plant and controller together, and programming/deploying the controller. Model Based Design integrates all these multiple phases and provides a common framework for communication throughout the entire design process. Researcher Forrest Jehlik watches over dynamometer testing. Argonne’s Advanced Powertrain Research Facility (APRF) enables researchers to conduct vehicle benchmarking and testing activities that provide data critical to the development and commercialization of next-generation vehicles. APRF engineers use the facility’s two-wheel drive (2WD) and four-wheel drive (4WD) dynamometers and state-of-the-art instrumentation to reveal important information on performance, fuel economy, energy consumption and emissions output. The APRF is capable of testing conventional, hybrid and advanced electrical propulsion systems using a variety of standard and renewable fuels in a precise laboratory environment. Argonne automotive engineers Thomas Wallner (left) and Henning Lohse-Busch put an engine through its paces on Argonne's Modular Automotive Technology Testbed (MATT). The development of Argonne’s Modular Automotive Technology Testbed (MATT) has changed the way researchers evaluate advanced technology components and perform vehicle system research. “One of the major advantages of MATT is that it allows us to separately test and benchmark individual components as they work in a system,” said Argonne engineer Henning Lohse-Busch. MATT has been compared to an automotive Erector Set because of its modular approach which enables the benchmarking of different engines, transmissions and other core powertrain components. With this flexibility, Argonne automotive engineers can evaluate specific parts in a full vehicle instead of building an entire prototype vehicle, which can cost considerable time and money to build. MATT’s test results help researchers understand which combination of components will result in a vehicle that best meets efficiency, emissions, and performance targets. The test platform looks like a vehicle stripped down to its bare essentials. Its base is a frame with wheels, but the testbed is outfitted with the different component modules which make up the vehicle powertrain. The scalable, virtual hybrid module enables MATT to operate as a conventional vehicle, a hybrid or even a pure electric vehicle with a virtually infinitely large battery pack while using the exact same hardware. Will there be enough lithium to meet the added demand? What will happen to these car batteries when they reach the end of their useful life? "It's important to consider potential material supply constraints before moving ahead with an ambitious program of development for any new technology," said Linda Gaines, Argonne transportation systems analyst. EUROPE AND US has invested on developing new standards for EV and batteries including issues on environment like recycling batteries and non-metal parts of EV cars. Videos shows recycling opportunities from oil spills, etc. As part of the Argonne research effort, Gaines and her colleagues are analyzing the available battery recycling processes and how they compare in terms of materials recovery, energy efficiency and emissions production. To gain insights into existing battery recycling operations, Gaines has visited and researched facilities in the U.S., Canada and Europe. She found a wide variety of recycling practices, with most facilities concentrating on the recovery of valuable metals like cobalt and nickel. At one extreme, there are smelting processes that recover basic elements or salts. Smelting takes place at high temperature, and organics are burned as fuel or reductant. Valuable metals are recovered and sent to refining so that the product is suitable for any use. Other materials, including lithium, are contained in the slag, which is used as an additive in concrete. Smelting facilities are operational now on a large scale and can take just about any input. At the other extreme, battery-grade materials can be recovered directly. This type of process requires the battery feed to be as uniform as possible because impurities jeopardize product quality. A variety of physical and chemical processes separate the components, and all active materials and metals can be recovered. Some components may need to be purified or reactivated to make them suitable for reuse in new batteries. Only the separator is unlikely to be usable. This low-temperature process requires minimal energy. "The recovery of battery-grade materials would help avoid the energy requirements and emissions from production of raw materials," Gaines said. "Recovered materials would also be less expensive than virgin materials, but we need to make sure the quality is good enough." Recovering lithium from battery recycling is currently not a common practice. This is because lithium is relatively cheap and most batteries contain only small amounts of lithium, presenting little economic need or incentive for such a process. "Right now it hardly pays to recycle lithium," Gaines said. "That could change as demand increases and larger supplies of materials are used." In a first step toward building a domestic infrastructure for lithium battery recycling, the U.S. Department of Energy awarded a $9.5 million grant to Toxco in 2009 to build and operate an advanced lithium battery recycling facility at its existing site in Lancaster, Ohio. The plant was previously dedicated to recovering materials from lead acid and nickel-metal hydride batteries. Toxco also operates the only lithium battery recycling plant in North America in Trail, British Columbia. Gaines and her fellow researchers are conducting further studies to identify the greenest, most economical recycling processes. Research includes investigating recycling practices to determine how much of which materials could be recovered with current or improved methods, and quantifying the environmental impacts of both battery production and recycling processes through life cycle analyses. The Argonne research team is also considering the possibility of reusing old batteries for utility storage before recycling. Will battery manufacturers be willing to purchase recovered materials? Will materials from today's batteries be compatible with materials in use 10 or 15 years from now? "Different processes recover material at different stages, and the best route will depend on numerous factors," Gaines said. "We continue to investigate these issues." Ultimately, the Global observer will be powered by a liquid-hydrogen-fueled propulsion system. AeroVironment had explored the use of solar power for the aircraft , but determined that liquid hydrogen propulsion was the best solution for a high-altitude, long-endurance UAV. Solar power today is not sufficient to support continuous operation beyond the tropics during winter. The Global Observer has a 175-foot wingspan and weighs less than 10,000 pounds. It has a modular composite airframe, which enables it be transported by a cargo aircraft, and an internal-combustion engine modified to burn hydrogen that drives a generator to produce electricity to power the UAV’s four propellers. Hydrogen was chosen because it has three times the energy of conventional fuel. When in operation, the aircraft produces no carbon emissions. The chemical reaction that takes place between the water and the fuel pellets produces hydrogen, which moves up into the fuel cell to produce electricity. The power produced can be used immediately. "Global Observer is being developed to address the need for an affordable, persistent platform that can provide seamless communications and ISR over any spot on the globe for as long as required,” Curtin said. to a geosynchronous satellite, but about 2,000 times closer to the earth's surface." In the near future these hydrogen powered technologies and remote sensing surveilance UAV's will be our eye around our planet. It is my hope that they will be developed further for remote sensing capabilities on remote part of our planet, severe weather, agricultural, security and understanding our planet's survival. The EnerDel/Argonne lithium-ion battery is a highly reliable and extremely safe device that is lighter in weight, more compact, more powerful and longer-lasting than the nickel-metal hydride (Ni-MH) batteries in today's hybrid electric vehicles (HEVs). The battery is expected to meet the U.S. Advanced Battery Consortium's $500 manufacturing price criterion for a 25-kilowatt battery, which is almost a sixth of the cost to make comparable Ni-MH batteries intended for use in HEVs. It is also less expensive to make than comparable Li-ion batteries. That cost reduction is expected to help make HEVs more competitive in the marketplace and enable consumers to receive an immediate payback in gas-cost savings rather than having to wait seven years for the savings to surpass the premium placed on HEVs. Additionally, the EnerDel/Argonne battery does not use graphite as the anode material, which been the cause for concerns about the safety other Li-ion battery brands. Instead, Argonne developed an innovative, more stable new form of nano-phase lithium titanate (LTO) to replace the graphite. It also developed a new way of making nano-phased LTO that will allow for easier industrial processing, as well as provide a high packing density that can increase the battery's energy density and provide the power needed for vehicle acceleration and regenerative charging of HEVs. The battery's principal developers are Khalil Amine, senior scientist and group leader; materials scientist Illias Belharouak; Zonghai Chen, assistant chemist; Taison Tan, EnerDel's research and development manager; Hiroyuki Yumoto, EnerDel's director of research and development; and Naoki Ota, EnerDel president and chief operating officer. The DOE Office of Energy Efficiency and Renewable Energy's (EERE) FreedomCAR and Vehicle Technologies program provides funding for Argonne battery research. Argonne process engineer Bryant Polzin fills an 18650 lithium-ion battery cell with electrolyte using semi-automated equipment at Argonne's Cell Fabrication Facility. With Argonne's new Cell Fabrication Facility, researchers have the ability to create their own full-size prototype battery cells by using promising laboratory-developed materials and without having to rely on battery manufacturers to make the larger cells. The climate-controlled fabrication facility allows Argonne scientists to manufacture, for their own use, both pouch cells and 18650 cells.Pouch cells are contained in flexible, heatsealable foils that allow them to be tailored to specific shapes and sizes; 18650 cells are contained in solid, cylindrical metal shells (18 mm in diameter, 65 mm in height). The new facility will also make battery electrodes. Previously, Argonne researchers were only able to fabricate very small coin cells using laboratory glove boxes (sealed units that allow researchers to manipulate materials in a contained environment). When Argonne wanted to create larger prototypes for more detailed testing, the laboratory was forced to go to battery manufacturers for the production of pouch and 18650 cells. However, for the fabrication process to be worthwhile, manufacturers would require large quantities of the prototype cells to be produced, which was not costeffective or convenient for Argonne. "Having [the capability to make prototypes] allows us to evaluate the novel battery chemistries we create in our R&D laboratories in a more practical and timely manner," said chemical engineer Andy Jansen. "If we like what we see, we will scale it up in the fabrication facility." After fabrication, the prototype cells are then evaluated for performance, battery life and safety in Argonne's state-of-the-art battery testing facilities. Outfitted with pilot-scale production equipment and cutting-edge dry room technology, Argonne's Cell Fabrication Facility is one of a few of its kind in the country. Because moisture is detrimental to batteries, the facility was constructed as a climate-controlled dry room. A controller constantly monitors the humidity of the room and guarantees a dew point (the temperature at which dew forms) below -42°C with up to six people working inside. "Moisture can cause an electrolyte to become acidic, which can destroy the battery," Jansen said. "To ensure quality, fabrication needs to be done in a controlled environment like this." Envia – In January 2011, this California start-up signed a license with Argonne. The lab's cathode material will contribute complementary technology to Envia's development of industry-leading lithium-ion battery solutions. This deal builds on an existing Argonne-Envia collaboration that garnered an R&D 100 award from R&D Magazine in 2009 for the joint development of an innovative composite electrode material technology. Since the dawn of the industrial age, railroads have been a vehicle for people, cargo and dreams of a better world. They remain a critical part of the transportation infrastructure of 2011. After decades of delays, Brazil’s ambitious railroad project to revitalize the infrastructure of its booming northeast region is on track. The 1,728-kilometer Transnordestina rail line, linking city of Eliseu Martins in the region’s interior to the ports of Pecém and Suape, is slated to begin operations late next year. The $3.21 billion route is being built by Brazilian steelmaker Companhia Siderúrgica Nacional, which holds a 30-year concession that gives it a 75% stake in the line. CSN has financed through regional development agency Fundo de Investimentos do Nordeste and Brazil's national development bank. CSN is providing almost a quarter of the funds itself. The existing rail line in the region has an annual transport capacity of 2 million tonnes. When the Transnordestina project reaches its full capacity in 2019 that is expected to reach 30 million tonnes of grains, iron ore and minerals, such as gypsum, from the interior of the region each year. The work involves replacing a meter-gauge network with a dual-gauge network, as well as building a completely new alignment to the railroad in many sections. It will cross 85 cities in the three north eastern states of Ceará, Pernambuco and Piauí. The initiative was first launched 21 years ago, but stalled in 1992 due to lack of funds. Former president Luiz Inacio Lula da Silva revived the project in 2006 with the start of work on a 100-km portion between Salgueiro and Missão Velha. In 2009, the main portions of the work were contracted out for construction. Brazilian construction firm Odebrecht is handling 1,100 km of the project, including almost all of the stretch connecting Eliseu Martins and the port of Suape. The remaining portions are being built by Brazilian firms Andrade Gutierrez and Galvo. To handle the vast operation in the limited work schedule, Odebrecht divided the project into two phases; the first handling the earth embankment and works related to the construction of bridges, viaducts and culverts, the second phase includes the installation of the railroad itself. The project requires excavating more than 90 million cubic meters of material, the installation of 1.5 million cubic meters of concrete and more than 3 million concrete beams—sleepers— to support the rails. Odebrecht officials say they expect to lay more than 2.4 km of track a day when operations hit their peak this year. To support the operation, Odebrecht has built the world's largest factory for fabricating broad gauge sleepers in Salgueiro. It is capable of producing 4,800 sleepers a day. The $115 million facility includes one of the country’s largest crushing plants as well as an extensive rail wielding unit. Lanzhou is a city of heavy industry and petrochemicals, located on the south bank of the Yellow River in northwest China. With a population of 2.2 million, it is the capital and largest city in Gansu Province. About 800 kilometers to the south, Chongqing, a manufacturing center on the Yangtze River in Sichuan Province, is one of the largest municipalities in China, with a population of 30 million. The Qinling Mountains sit between the two. The Lanzhou-Chongqing Railway project will link these two economic hubs with an 832-km double-track rail line. The hilly route through the Gansu, Shaanxi and Sichuan provinces will require 285 bridges, totaling 104 km, or 13% of the route, and 178 tunnels, covering 506 km, or 63% of the route. Twelve of the tunnels will exceed 10 km in length, with the longest measuring 29 km. Tunneling crews from two contractors are making steady progress on the 16.6-km-long West Qinling twin tunnels. China Railway Tunnel Group Co. Ltd.’s 18th Bureau is managing the Left Line Tunnel, while China Railway Construction Co. Ltd. is managing the Right Line Tunnel. The contractors did some of the initial tunneling by the drill-and-blast method. Both contractors are using 10.2-meter-dia tunnel-boring machines supplied by The Robbins Co., Solon, Ohio. The project owner, the Lanzhou-Chongqing Railway Co., is a joint venture of the Ministry of Railways, the Gansu and Sichuan provincial governments, and the Chongqing municipal government. The line will have 31 stations and be designed for double-stacked container traffic. By reducing the current rail route between Lanzhou and Chongqing to 820 km from 1,466 km, the project will cut travel time between the cities to 6.5 hours from 17.5 hours. The entire railway is planned to open to traffic in 2014. Central Asian nations have been slow to establish rail links with their neighbors to the south for numerous reasons. During the era when the Central Asian nations were part of the Soviet Union, all their rail lines headed north to Russia, their major trading partner. Of the five Central Asian nations, Kazakhstan occupies an especially strategic position. Geographically, it lies between China to the east and Russia to the north and west; it also provides a north-south corridor between Europe and the Middle East and southern Asia. Politically, Kazakhstan has maintained good relations with its larger neighbors—Russia, China and Iran—which has involved a skillful balancing act. The North South Transnational Corridor project aims to be the most direct link for freight shipments from Russia or Central Asia to the Persian Gulf. It will run from the rail junction of Usan in western Kazakhstan in a southerly direction, crossing the Karakum Desert in Turkmenistan and linking up with an existing rail line in northern Iran. The line will run for 137 kilometers in Kazakhstan, 470 km in Turkmenistan and 70 km in Iran. An agreement to build the line was signed by the presidents of Kazakhstan, Turkmenistan and Iran in 2007. Turkmenistan began construction at Bereket station almost immediately. By July 2010, about 300 km of the line in Turkmenistan was completed; the work was performed by Iranian contractors. Turkmenistan’s effort was primarily financed by the Asian Development Bank. But Kazakhstan has delayed its start, citing financial reasons. According to the Far News Agency in Iran, the Iranian minister of roads and urban development, Ali Nikzad, announced that the portion of the corridor within Turkmenistan that is being built by Iranian contractors will be completed by the end of 2011. The short link inside Iran, which is being built by the Iranian contractor Pars Enerzhi, will be completed by March 2012. Once it is completed, the railway is expected to initially transport cotton from Turkmenistan, as well as agricultural products and oil from Kazakhstan and Turkmenistan, to ports in Iran’s Persian Gulf for export to world markets. The new line will cut 600 km from the current route for shipped cargo from the Central Asian nations to Persian Gulf nations, putting the markets of Iran and the Gulf Arab states within cost-effective reach of, for example, Kazakh food producers. Ultimately, the railway could shorten by 1,000 km the distance for shipping Chinese cargo to Europe via the Trans-Siberian Railway by routing it over the new rail link and existing lines through Iran and Turkey. China’s high-speed-rail building program is a bold commitment to increase passenger-carrying capacity on major routes while simultaneously freeing up other lines for additional freight service. One of the routes that is nearing completion is the 904-kilometer line linking the major port of Dalian with Harbin, the commercial hub of northeast China. The project was split into three separate construction contracts. China Railway Group Ltd. built the southernmost section, spanning 377 km from Dalian to Shenyang. China State Construction Engineering Corp. built the central section, from Shenyang to Siping, and China Communications Construction Co. Ltd. built the northern section, from Siping to Harbin. Track work was completed in December 2010. The China Railway Electrification Bureau Group installed the power supply system and signal transmission systems, completing its work in June 2011. Service was expected to begin in early 2012, but test operations on the line have been postponed due to quality problems, including excessive roadbed settlement near Dalian City. Further, the quality problems are in part allegedly due to corruption. Du Houzhi, the railway’s general manager, was fired in June and is currently under investigation, according to a report by China News Service. According to the Ministry of Railways, the line is expected to carry 37 million passengers a year by 2020 and 51 million a year by 2030. Once the high-speed line goes into service, most passenger service will shift to the new line, relieving pressure on the existing Harbin-Dalian railway, the busiest in the region, which transports coal, oil, agricultural products and lumber. According to a report in Xinhua, the existing line will be able to transport an additional 50 million to 60 million tonnes of cargo once the new high-speed line is operating. ENR has identified ten of the world’s most notable new railway construction projects based on geographic variety and cross-border economic impact. Saudi Arabia, though late to adopt rail service, has embarked on an ambitious program that will feature both freight and passenger service. Its North-South Railway, a 2,400-kilometer-long branching system, will link Saudi Arabia’s northern mineral belt with smelters and a port on the Persian Gulf, enabling the country to better reach export markets. Further, passenger service will connect Riyadh with cities in the north and extend to the Jordanian border. The construction work has been divided into four phases. The Saudi Binladin Group, the nation’s largest contractor, won the phase-A contract for the 576-km segment linking the bauxite mines at Az Zabirah (recently renamed Al-Beitha) to an aluminum smelter and refining complex at Ras Azzawr (recently renamed Ras Al-Khair). This phase has been completed. Phase B will be handled by a joint venture of China Railway 18th Bureau and Al Suwaiket Co., which will construct a 440-km section from Az Zabirah (Al-Beitha) junction to the middle of the Al Nafude desert. Construction is under way. A consortium of Barclay Mowlem of Australia, Mitsui of Japan, and Al Rashed of Saudi Arabia is overseeing phase C, which entails building the northernmost 750-km section, from the middle of Al Nafude to the phosphate mines of Al Jalamid and Al Haditha station on the Jordanian border. This section is expected to be completed by the third quarter of 2012, according to Muhammad Al Mansour, director of marketing for Saudi Railways Organization. The phase-D contract, for the southernmost segment between Riyadh and Al Qassim, has been awarded to a joint venture composed of China Civil Engineering Construction Corp., Al-Ayuni Trading and Constructing Co. and Al-Omaier Trading and Contracting Co., and is expected to be completed by the first quarter of 2013. The overall construction will encompass 120 million cu meters of embankment fill and 60 million cu m of excavation. Abu Dhabi-based Etihad Rail Co., the government-owned company that is set to build an estimated $11-billion passenger and freight rail network across the United Arab Emirates (UAE), says it will award the project’s first construction contract before the end of the year. The company is set to select an unspecified number of contractors from at least 10 local and international bidders, according to reported comments by Ehitad Rail CEO Richard Bowker. He said the bidders were “invited,” the online report said. Contract values also were not disclosed. Work on the first 266-kilometer phase of the 1,200-km rail network, the first in the UAE, is set to begin "before the end of 2011" and be completed by 2014, says an Etihad Rail spokeswoman. Two other phases are set for completion by 2018. The network will mostly be for cargo shipments among ports and industrial centers in the UAE and neighboring Arab nations. The spokeswoman says the first section wil transport up to 22,000 tons daily of granulated sulphur that are a byproduct of sour gas extraction in the Shah and Habshan gas fields. but it also will include a commuter line between Abu Dhabi and Dubai, according to reports. Bowker has said that the participating UAE nations are expected to set up a “rail authority” to oversee the system’s projects and possibly others on connecting routes in other countries. In April, Etihad, formerly Union Railway Co., selected a Parsons Corp.-AECOM joint venture as the project's program manager, according to sources from the U.S. firms who did not wish to be named and published reports in the Middle East. The joint venture replaced a team of Parsons and Paris-based SYSTRA, whose PM contract was canceled in January, just two months after the railway announced its selection of the firms. Reasons for the termination were not disclosed publicly or to team members. Etihad also canceled in January a contract for preliminary engineering services awarded last fall to Parsons Brinckerhoff, also with no public statement or explanation to the firm. The projects include Angola’s Benguela Railway, China’s proposed line in Iran from Tehran west to Khosravi, China’s own Harbin-Dalian High-Speed Rail Line and China’s Lanzhou-Chongqing Rail Line. There are also reports on a new line in Libya, the planned United Arab Emirates Network, the Central Asian Rail Link, Brazil’s rail revitalization project and India’s massive new rail cargo plan. Companies such as Skanska and Parsons Brinckerhoff are involved in these projects, which promise to transform much of the developing world. The Indian Cabinet last month approved the restructuring and financing for the future $90-billion Delhi-Mumbai Industrial Corridor, opening the way for forward for the ambitious megaproject planned along a future 1,483-kilometer high-speed-rail freight corridor. India’s rail ministry expects to invite bids this year for $2.2 billion worth of civil engineering contracts for the rail corridor’s first phase. The first seven cities of the 24-city industrial corridor are set for completion in 2018. Mumbai Industrial Corridor Development Corp. (DMICDC), with a 49% share in the industrial corridor project, will become a government company open to government audits. Plans call for a 1,483-kilometer-long industrial corridor that will run through seven states. 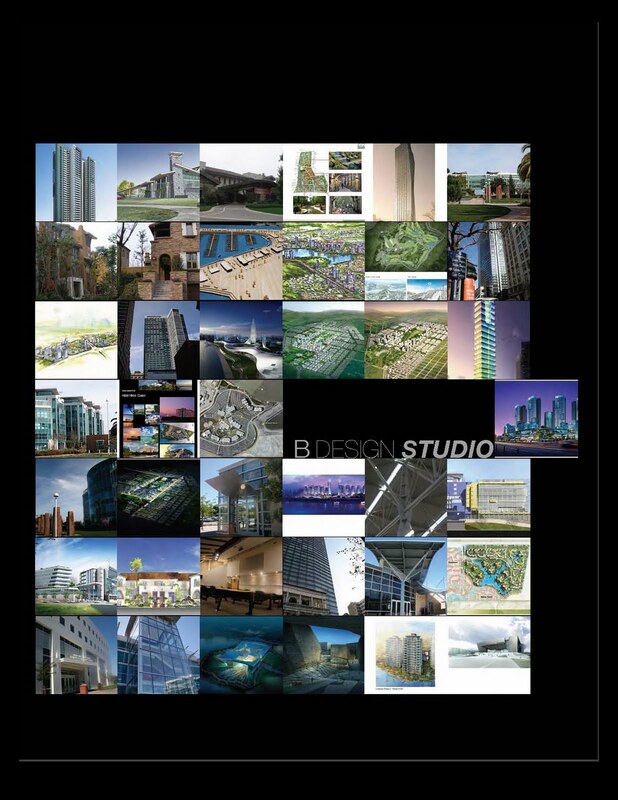 In total, there would be nine industrial megazones, each 200-250 sq km, and 24 new cities. Each zone would be located along the future 1,500-km high-speed freight line that will connect landlocked Delhi—in the north-central section of the subcontinent—southwest to Mumbai on the Arabian Sea. The government has not released any time frame for completion of the overall development. “The basic objective of the [industrial corridor] is to drive manufacturing. Only then can India hope to keep growing at 9% to 10%, year-on-year,” says Amitabh Kant, CEO and managing director of DMICDC. Land acquisition will be one of many challenges, say sources. Connecting highways, railways and ports to the new cities will be another, says Kant. However, the main challenge will be financing. Unlike China, India will look at public-private partnerships, with part of the funding coming from the private sector. “In this, the government has a major role [because] these new cities [will] cost money,” he says. “The first seven cities that we plan to develop will cost between $8 billion to $15 billion, which is what Dholera, the largest development plan, is likely to cost,” says Kant. Libya's civil war has halted an ambitious plan to build an extensive $5.6-billion rail system designed to bolster both passenger and freight service. The major east-west route would parallel the coast, ultimately stretching 2,300 kilometers from Ras Ejder on the border of Tunisia to Umm Sa’ad on the Egyptian border. The regime awarded separate contracts to Russian and Chinese contractors to complete certain segments. In 2008, crews from RZD, the Russian state railway, began building the 554-km Surt-to-Benghazi segment, which had been set to include four major stations and 24 minor ones. The owner expected the project to take four years at a cost of $3 billion. As part of the project, RZD built a rail-welding plant in Ras Lanuf, with a capacity to produce 500 km of long welded rail per year for use in Libya, as well as for export to Russia. Also in 2008, China Railway Construction Corp. (CRCC) began laying track westward along a 625-km segment from Surt, via Al Khums and Tripoli, to Ras Ejder. The company also has been awarded an 800-km north-south segment, which will be used to transport iron ore from the southern city of Sebha to a steel mill and port at Misratah, when completed, likely this year. CRCC’s contracts are reported to total $2.6 billion. Work on the system halted in February 2011, when the Libyan rebellion began. According to a Russian news report, RZD evacuated all of its 123 staff employees as well as 700 non-Russian workers. An RZD spokesman confirms that the company is awaiting approval from the new Libyan government to return to the project. China, which wants to create more robust rail corridors across Asia, is offering to build a $2-billion freight rail line in Iran. If continuous railway corridors were in place and, standard-gauge track installed from end to end, containerized freight could travel from China to Europe much more rapidly by rail than it does by ship, the Chinese claim. In September 2010, Liu Zhijun, China's railway minister, and Hamid Behbahani, Iran’s minister of roads and transportation, signed an agreement that calls for building a 569-kilometer rail line from Tehran west to Khosravi on the Iraqi border. Starting in Iran's capital city at an elevation of 1,200 meters, the line will ascend through the Zagros Mountains, with stops at Arak (1,718 m) and Hamedan (1,759 m) before descending to Kermanshah (1,350 m) and the border town of Khosravi (390 m). This route will offer a more efficient option than trucking for products being exported to Iraq, such as agricultural products, cement, steel and batteries. The line also will offer passenger service to many of the 5,000 Shi'ite Iranians who make pilgrimages daily to the Iraq holy cities of Najaf and Karbala. According to a May article in the Middle East Economic Digest, Iran's Roads and Transportation Ministry has invited contractors to submit bids for the new line. In the long term, the route holds the promise of connecting with Baghdad and even Syria as part of a Middle Eastern corridor. Iran and Iraq have never had a rail link. However, Iraq and Syria revived their freight rail link in 2009, and Jordan is currently soliciting bids to build a rail line that will connect the port of Aqaba to Baghdad. "China is committed to building a railway network in western Iran and Turkey and Central Asia," says Niklas Swanstrom, executive director of the Central Asia-Caucasus Institute and Silk Road Studies Program at Johns Hopkins University. "For China, this is a long term project to link the Middle East to China in a financially constructive way."